Why are we deploying the GULL system? ‘Our role in HR and training is to facilitate the development of our team members so that they grow in confidence, realize who they are, how they contribute and how they can continue improving. GULL’s action learning process is drawing us closer together as we embark on this journey. Andrea Thomas, HR Coordinator, Sandals Resorts International. 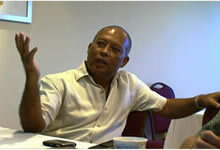 The goal is to ensure that the rate of learning at SRI keeps pace with the rate of change. By embedding the GULL system, outstanding customer service, learning, improvement and enhanced performance can be interwoven with business objectives. Team member-led projects are already delivering costs savings, new revenue and other improvements. How will workplace learning help the business? Here is a testimonial from Winston Anderson, General Manager, Sandals Grande St Lucian Resort & Spa, St Lucia, Caribbean. ‘Not many of us find it easy to reflect on our achievements at work. The GULL process helps me to do this in detail and I realized how significant the learning journey was after completing a learning review for myself. 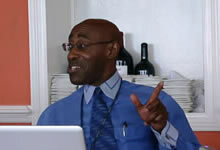 Winston Anderson, General Manager, Sandals Grande St Lucian Resort & Spa, St Lucia, Caribbean. Integrate human resource and business development and strengthen its outstanding performance and reputation for customer service, creativity and innovation – delighting guests from all over the world. Provide its large and complex resort operations with the tools, system and framework to become workplace business schools – delivering benefits for guests, the company and for team members who are now able to learn, develop and earn GULL’s recognized professional certificates, diplomas and degrees – at work – by integrating learning and working. Enable all employees to accelerate the rate of learning (individually and collectively) in order to keep pace with the rate of change (economic, competitive, environmental) and in so doing, become even more effective professionals at work. 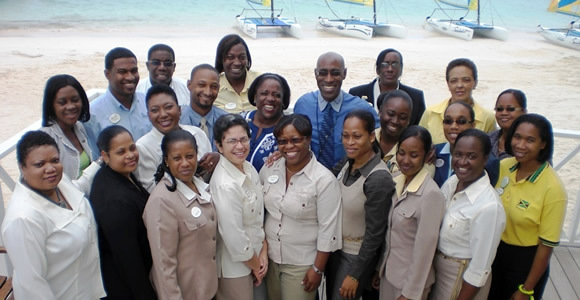 On 1 April 2009, Sandals Resorts International (SRI), the world’s leading all-inclusive resort company, began the process of integrating and implementing the GULL system in all their resorts. SRI is a major employer in five Caribbean Nations (Jamaica, St Lucia, Antigua, Turks & Caicos Islands, the Bahamas) and the aim is to provide an affordable solution for all team members so that they can learn at work.